Russian fighter jets at Victory Day military parade in Moscow. Destination Russia, the world's largest country. 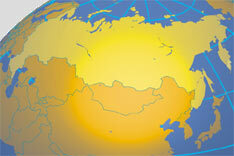 A virtual travel guide to the Russian Federation. The country, which is commonly known as Russia, is located partly in eastern Europe and partly in northern Asia, bordering the Arctic Ocean in north. 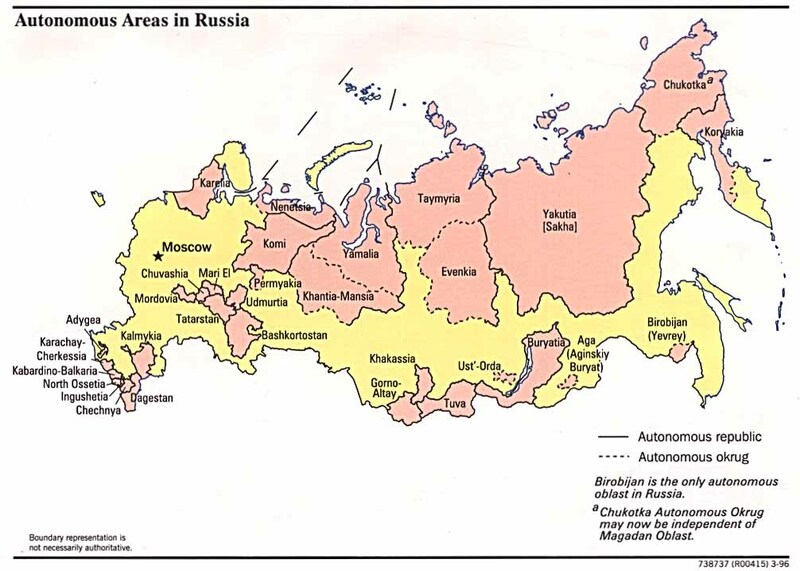 Russia is bordered by 14 countries: Azerbaijan, Belarus, China, Estonia, Finland, Georgia, Kazakhstan, North Korea, Latvia, Lithuania, Mongolia, Norway, Poland, and Ukraine. Furthermore it shares maritime borders with Japan, Sweden, Turkey and the United States. With an area of 17,098,242 km² the country is somewhat larger than twice the size of the contiguous United States, it is the largest country in the world, covering more than 11% of Earth's land areas. But vast regions of the country were uninhabited or uninhabitable. Russia is a country with a very low population density (8.5 people/km², compared Germany 226 people/km², USA about 33 people/km²). But still, Russia has a population of 146 million people (in 2016). Moscow is the capital and core of political power and the center of culture, and trade, St. Petersburg is Russia's second largest city and an important Russian port on the Baltic Sea. The double-headed eagle is the State Seal of the Russian Federation. The defeat of the Russian Empire in World War I led to the seizure of power by the communists and the formation of the USSR. The brutal rule of Josef STALIN (1924-53) strengthened Russian dominance of the Soviet Union at a cost of tens of millions of lives. The Soviet economy and society stagnated in the following decades until General Secretary Mikhail GORBACHEV (1985-91) introduced glasnost (openness) and perestroika (restructuring) in an attempt to modernize communism, but his initiatives inadvertently released forces that by December 1991 splintered the USSR into 15 independent republics. Since then, Russia has struggled in its efforts to build a democratic political system and market economy to replace the strict social, political, and economic controls of the communist period. A determined guerrilla conflict still plagues Russia in Chechnya. Location: Northern Asia (that part west of the Urals is included with Europe), bordering the Arctic Ocean, between Europe and the North Pacific Ocean. Area: 17 million km² (6.5 million sq. mi. ); about 1.8 times the size of the United States. Terrain: Broad plain with low hills west of Urals; vast coniferous forest and tundra in Siberia; uplands and mountains (Caucasus range) along southern borders. Climate: Northern continental, from subarctic to subtropical. Ethnic groups: Russian 81%, Tatar 4%, Ukrainian 3%, other 12%. Religion: Russian Orthodox, Islam, Judaism, Roman Catholicism, Protestant, Buddhist, other. 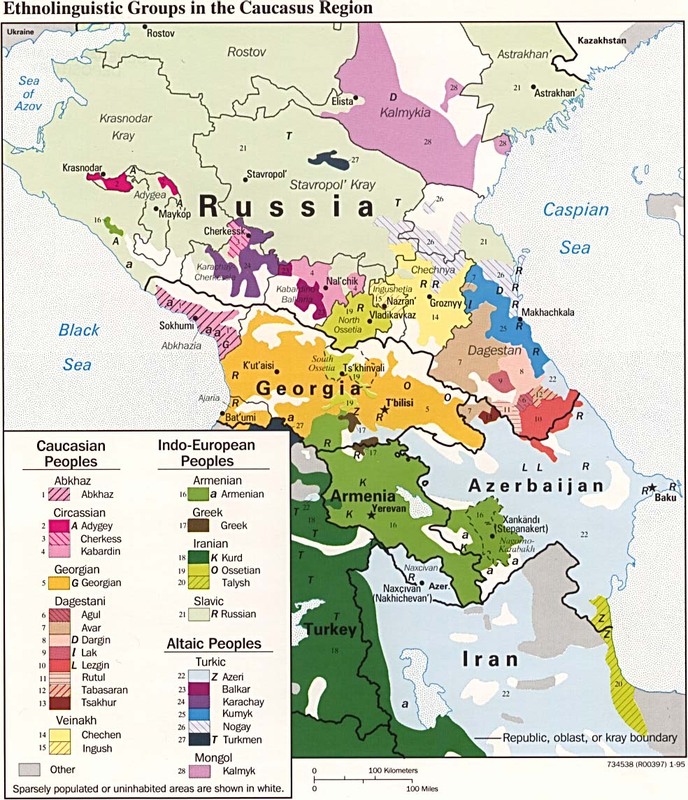 Language: Russian (official); more than 140 other languages and dialects. Natural resources: Petroleum, natural gas, timber, furs, precious and nonferrous metals. Agriculture products: Grain, sugar beets, sunflower seed, vegetables, fruits; beef, milk. Industries: Complete range of mining and extractive industries producing coal, oil, gas, chemicals, and metals; all forms of machine building from rolling mills to high-performance aircraft and space vehicles; shipbuilding; road and rail transportation equipment; communications equipment; agricultural machinery, tractors, and construction equipment; electric power generating and transmitting equipment; medical and scientific instruments; consumer durables, textiles, foodstuffs, handicrafts. 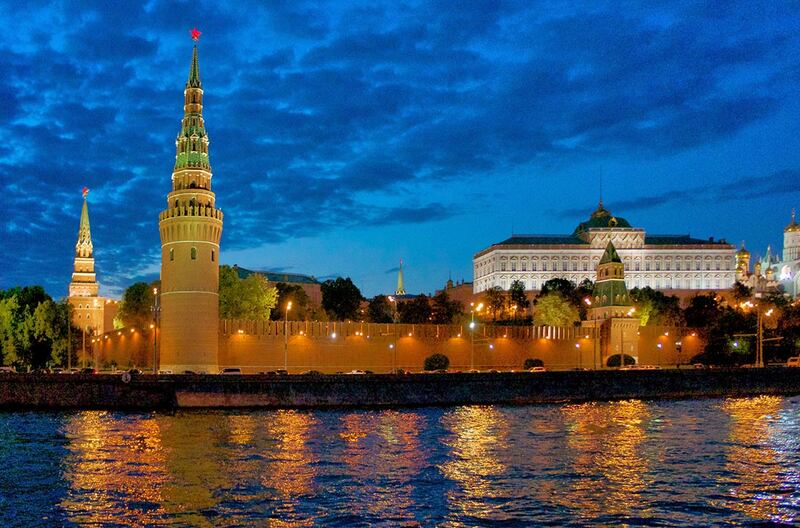 View of the Kremlin, with the Kremlin Wall and the Kremlin towers, the 'fortress inside a city', is located at the Moskva River in the center of Moscow. The term Kremlin is also often used to refer to the government of Russia. Russia is a federal republic and in theory a multi-party representative democracy, wherein the President is the head of state and the Prime Minister is the head of government. The President is also the Supreme Commander-in-Chief of the Armed Forces of the Russian Federation. Russia's legislature is the bi-cameral Federal Assembly of Russia (parliament), which consists of the State Duma (lower house), and the Federation Council (upper house), headed by the Chairman of the Federation Council (speaker). The official website of Russia's president, who is again Vladimir Putin. The upper chamber of the Russian parliament. The State Duma is the lower house of the Federal Assembly of Russia. The Russian Ministry of Foreign Affairs is government institution in charge the foreign policy and foreign relations of Russia. The website also provides information about Russian diplomatic missions abroad. Russia is one of the five permanent members of the UN Security Council. State Comittee of the Russian Federation on Statistics. Official statistical information on social and economic situation in the CIS countries. Political Map of the Russian Federation. Political map of European Russia. 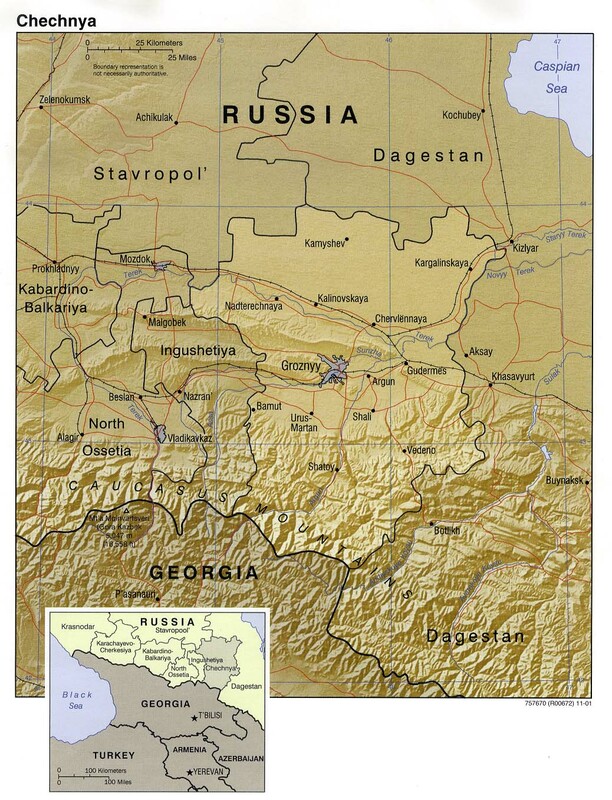 Searchable map and satellite view of Russian Federation. Searchable map and satellite view of the capital, Moscow. Labeled map/satellite view of the Moscow Kremlin. Searchable map and satellite view of Russia's Winter Olympic capital 2014. Political map of Central and Eastern Europe. Political map of the Baltic Sea region. Map of the Caspian Sea with surrounding Countries. Like in the US, TV is the main news source. Television is the most powerful sector of the Russian media industry. But unlike the US, the main national networks are either run directly by the state or owned by companies with close links to the Kremlin. Russia Today (RT), an international English-language news station is state-funded and aims to present "global news from a Russian perspective". However many observers have accused the pro-Kremlin TV (RT) of spreading disinformation and conducting an information war both at home and abroad. Russian News Agency (in Russian). Formerly Itar-Tass, Russian News Agency. Saint Petersburg based daily business newspaper. Online portal of the broadsheet newspaper with national and international news (in Russian). News on Moscow, Russia and the world (in English). Homepage of the critical independent TV-Station they try to took over (in Russian). Russian propaganda TV and online magazine funded by the Russian government. 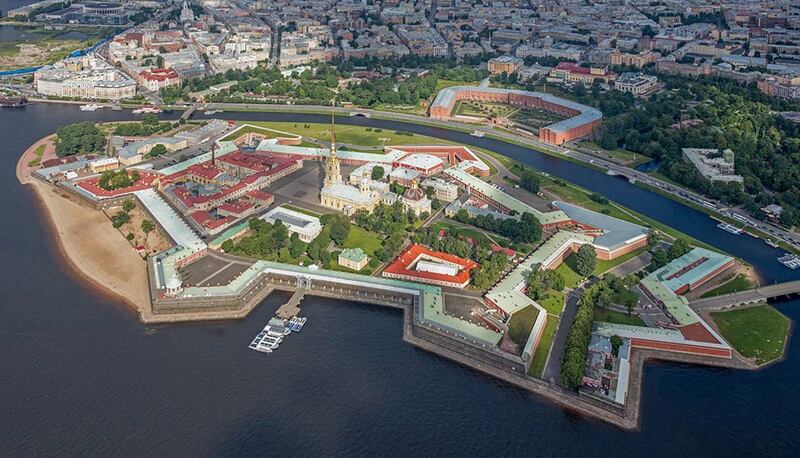 Aerial view of Peter and Paul Fortress on Zayachy Island, Saint Petersburg. by Catherine Yakovina, St. Petersburg. 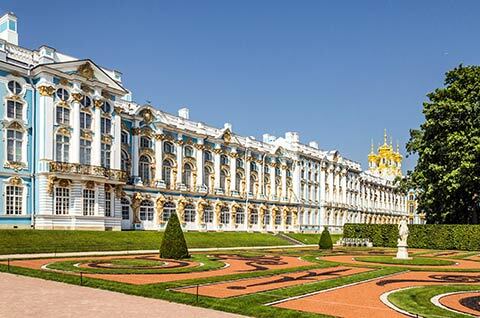 St Petersburg - Presents the development of the world culture and art from the Stone Age to the 20th century. Official website of the Kremlin Museum - the oldest museum in Russia. The Museum has one of the most representative collection in Russia of foreign art dated from ancient times to modern days. The State Russian Museum in St. Petersburg is the world’s largest collection of Russian art. One of the largest museums in Russia with more than 100 000 works of art, the museum of the history of Russian art presents icons, paintings, graphics and sculpture,. 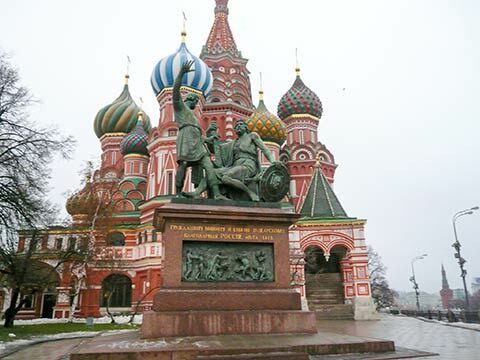 Detailed information about any Russian museum. The official list of russian museums, more than 3000 museums listed. Russian writer, physician and playwright, author of The Master and Margarita and Heart of a Dog. The country's oldest state library, St. Petersburg. The largest library in Europe and the second largest in the world, Moscow. United Space Of Humanity - the condition of the website suggests that humanity is suffering. IIS.RU an independent non-government organization for Information Society development in Russia. For foreigner's & our first people's information, founded '96 in Ulan -Ude (Buryatia, Russia). The Khanty-Mansiysk Autonomous District is a member of the Russian Federation, named after the native peoples Khanty and Mansi. Site related to the Republic of Tuva, the former Tannu Tuva, a country in south Siberia, and a member of the Russian Federation (in Russian), see also Friends of Tuva. Saint Basil's Cathedral or the Cathedral of Vasily the Blessed is the world famous church in the Red Square in Moscow. The Russian Orthodox Cathedral is a UNESCO World Heritage Site. The Central Bank of the Russian Federation. The largest exchange group in the Russian Federation. The U.S.-Russia Chamber of Commerce (USRCC), a 501(c)(6) nonprofit organization headquartered Houston, Texas. Our goal is to promote the growth of the Russian economy, clear trade barriers and support investment initiatives. Russia Foreign Trade Center is included in the World Trade Point Federation (WTPF). Group of companies for air transportation and airport management at Domodedovo International Airport. Transaero Airlines serves domestic destinations and operates flights to Europe, the Middle East, Asia, and North America. Transaero filed for bankruptcy on 1 October 2015. UTair is one of the five largest air carriers of Russia and the largest Russian helicopter airline. Official website of Russian Railways, with information on passenger and freight transportation; Online services, Infrastructure, railway maps. Railway guide with a photo-gallery of stations, views and bridges. 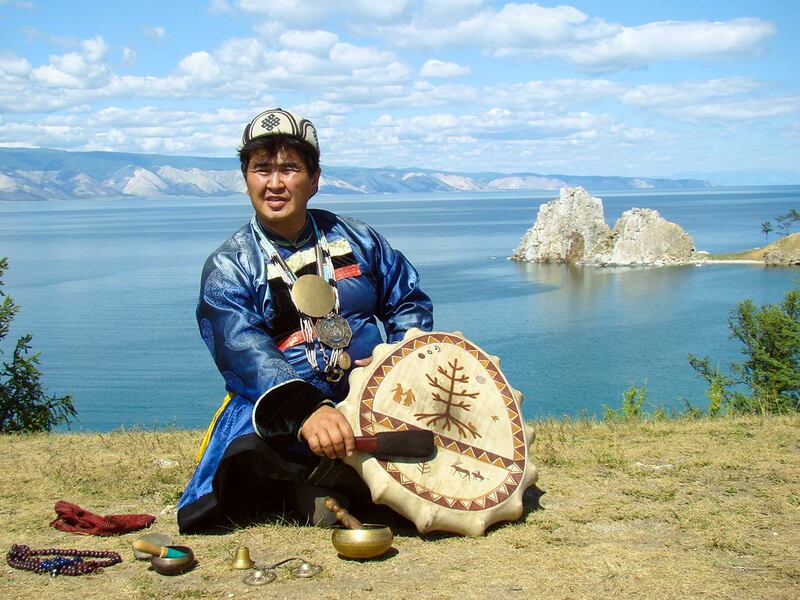 Valentin Hagdaev, the head shaman of Olkhon Island in Lake Baikal in eastern Siberia. Discover Russia: Moscow, Saint Petersburg, Irkutsk, Ulan-Ude, Novosibirsk, Kamchatka, Lake Baikal, Sochi, Vladivostok, Trans-Siberian Railroad. Find accommodation, hotels, attractions, festivals, events, tourist boards, biking, skiing, hiking, climbing, cruising, diving, adventure tours and much more. Travel in Russia, very official information by The Ministry of Culture of the Russian Federation's Federal Agency for Tourism. Russian National Tourist Office in the UK. Russian National Tourist Office in the US. Comprehensive guide to Russia and a travel services directory. Official portal to St. Petersburg, offering a wide variety of information about the city and its life. Official city tourist portal of St. Petersburg. Russia's oldest operating grand hotel, founded 1703. BBC News about the Caucasus region. 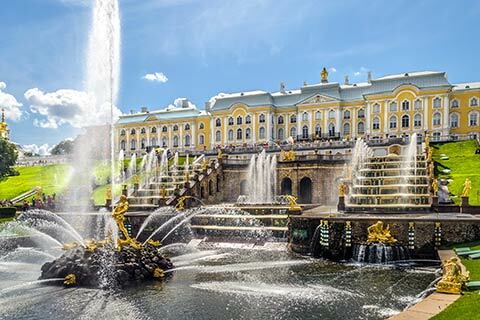 Catherine Palace Tsarskoe Selo, the summer residence of the Russian tsars. Lomonosov University is also known as Moscow State University. Lomonosov Moscow State University (MSU), a public research university founded in 1755. Russias national academy currently includes more than 600 institutions and over 50,000 scientific researchers. The oldest Russian university is a state-owned higher education institution based in Saint Petersburg. SSAU trains specialists for the rocket and space, aviation, electronic, metallurgical, and automotive industries. 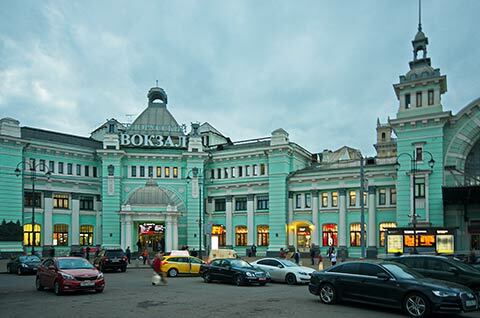 A leading multi-faculty university in the city of Samara. The first university n Tyumen Oblast consists today of 12 institutes and trains specialists in 175 fields. Astronomical Department of Saint Petersburg State University. Satellite view of the Russian Baikonur Cosmodrome space launch facility in Kazakhstan. Anti-nuclear and safe energy movement. The Socio-Ecological Union is the only international ecological organization born in the USSR. An overview on Russians history by interKnowledge. Museum of History of Moscow. The history of the Romanovs, Russian art and architecture. Russian search engine and one of the largest Russian web portals. (in Russian). Was one of the first Russian Net directories. The domain is now on sale for about 150.000 $US.